Augment your Mage's Spellbook with your favourite spells. 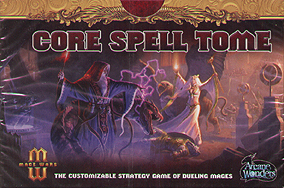 The Core Spell Tome contains 110 additional copies of the most useful spells from the Mage Wars core set. Mage Wars core set is required for play.